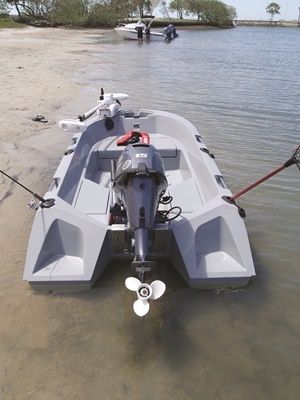 Polycraft’s new-for-2019 300 Tuff Tender introduces fibreglass-look sides. This design will be rolled out across upcoming Polycraft models. 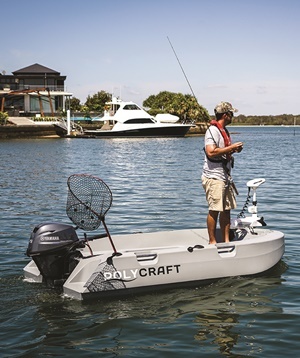 Excellent stability is at the core of all Polycraft boats and the 300 Tuffy is no exception. Passers by were chosen at random to test that fact. Facility to mount an electric motor up front a big selling point. Storage hatches keep deck clear. Rear hatches afford handy storage and raised lips prevent water ingress. Front hatch under the casting deck is genuinely large for such a small boat and a divider can be slipped into place to prevent items moving about. With a 1.4m beam and moulded rear steps, getting around the outboard is easy. 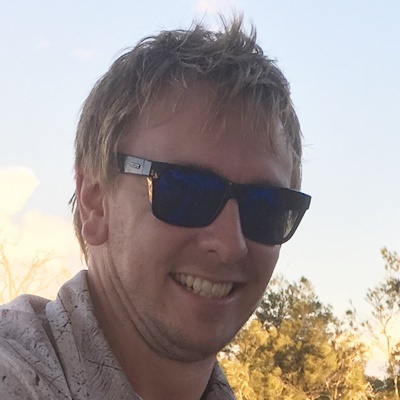 WHAT do you look for when browsing the market for a tender? 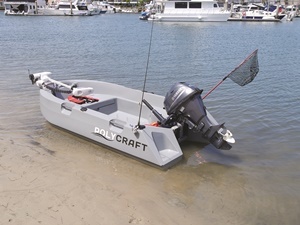 you’ve probably seen the ubiquitous Polycraft Tuff Tender mounted on the back of boats nationwide. 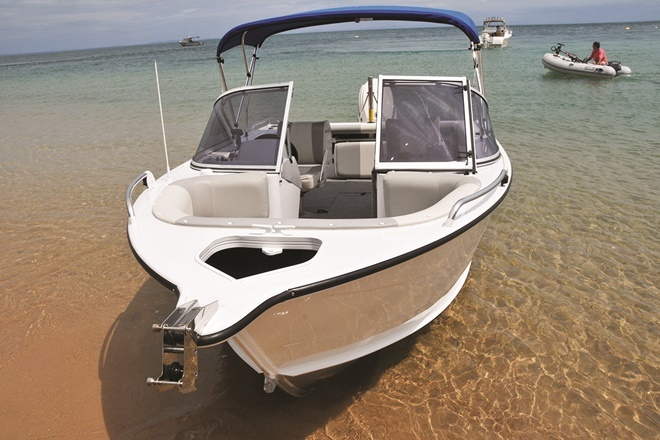 Polycraft boats are manufactured using a roto-moulded polyethylene construction system, meaning dual-hull boats can be built in one seamless piece. So yes, they’re plastic, and yes, they’re bloody tough. carrying capacity) sitting right on the edge of the hull without tipping. 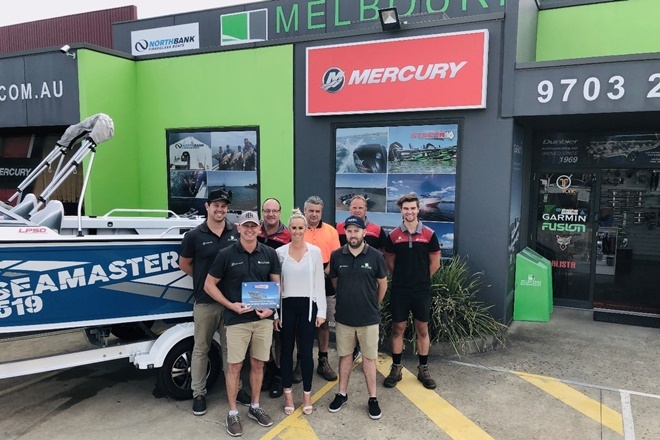 Other changes saw Polycraft listening to the thoughts of existing owners who were chasing more versatility once on the water with a rod in hand. That’s right, plenty of Tuffy owners don’t just use their tender as a means for getting between the big boat and the shore, they actively fish from them! The team found owners were primarily chasing more casting space and more storage options. 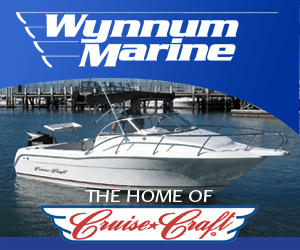 Polycraft was happy to oblige and extended the front casting deck while adding a large storage hatch capable of swallowing tackle boxes, life jackets and even small Eskies. 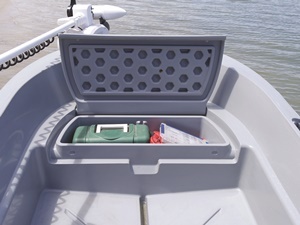 Down the back, two more casting decks feature lids that allow them to be opened up to store myriad boating essentials such as sunscreen, lures and drinks. On that last point, the Polycraft’s polyethylene construction lends itself to turning the boat into a natural Esky, so these rear storage bins suddenly become the prime place to stow a bunch of drinks on ice. 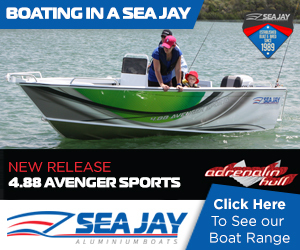 This is extremely handy when you consider space is at an absolute premium in a 3m boat. Anything that can be cleared off the deck is a big win. Both front and rear hatches also feature a unique moulded and raised lip that means when closed the seal is exceptional, and any water that comes over the side or from the sky won’t have a chance of penetrating the hatches and reaching your valuables. The hinges on these innovative hatches are one-piece with the lids, so there’s no chance of them breaking or becoming ‘stressed’ from continuous use. 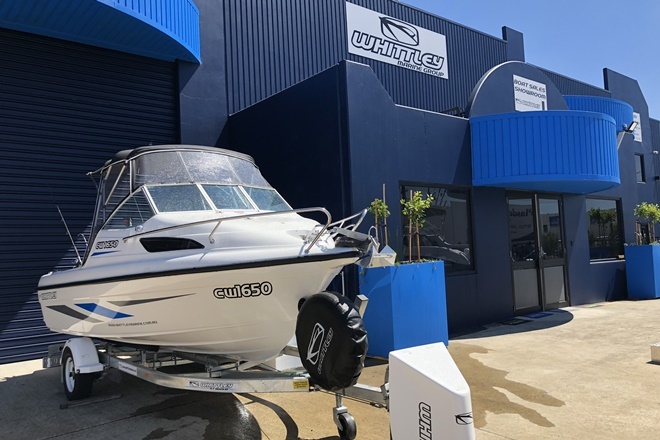 In the same vein of durability, owners of the previous model noted when having the tender tied alongside overnight, the bow shackle could become a bit too friendly with the hulls of their expensive pleasure craft. Polycraft came to the party by deleting the shackle and replacing it with a ‘winch rod’ forward of the moulded anchor well. This means apart from the motor, no extraneous metal parts extend from the hull of the Tuff Tender. The front rod and four in-built metal lifting points along the gunwales are all wrapped deep in polyethylene during construction, meaning there’s no chance of them ever breaking or being popped out of the hull like comparable screw-in fittings. You can safely hook a crane up to the five lifting points and effortlessly hoist the little rig aboard the deck of bigger boats (ideal for extended charter operators). 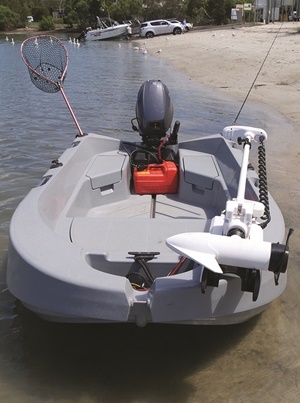 As mentioned, plenty of owners like to get out and about chasing fish in their Tuff Tenders and to facilitate these desires, the Tuffy features four flush-mounted rod holders, the capacity to fit an electric bow-mount motor and a maximum outboard rating of 15hp. Yep that’s right, you can legally whack a 15hp four-stroke on the back of your 3m tender! Which is exactly what the test boat was running, in the form of the sublime F15 from Yamaha. 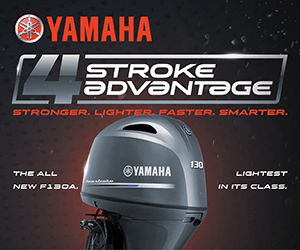 Yamaha outboards have carved out a well-earned reputation for dependable reliability and smooth, quiet running. The little F15 is no exception, and on the test day it felt seriously toey, even with a Minn Kota and a passenger up front as well as a battery for the electric down the back. A quick pull of the starter cord saw the F15 kick into action and with barely any noise we reversed away from the shore and swung the nose out of Spinnaker Sound Marina towards Pumicestone Passage. Tootling past a previous-generation Tuffy hoisted up on the back of a cruiser, we passed the breakwater and I gave the F15 some throttle, which saw it react smoothly and swiftly by getting onto the plane with barely a movement from the bow and begin skipping over the northeasterly chop. A key point to note when shopping around and comparing Polycrafts and tinnies for tender duties is the amazingly quiet ride the Poly’s hull affords. The fish won’t hear you coming, seriously! Especially when you can pair this little rig with a four-stroke outboard capable of genuine speed and stealth. During testing with two people on board (but no electric motor), Yamaha saw the little Tuffy scoot out to more than 36km/h, reaching 30km/h in just 6.6 seconds! Now that’s punchy! With a happily speedy and economical cruising speed pushing the 83kg hull along at about 25km/h at 4500rpm, you’re actually talking a decent range with 20 litres of fuel on board, and getting to your destination in quick time and relative peace and quiet too. 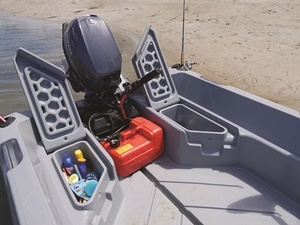 If you want to stretch the range equation even further or if you’ll be using the Tuffy in an instance where manual portability is a major factor (car-topping), Yamaha’s 9.9hp four-stroke makes an even better power option. Able to run the 300 Tuffy out to 32km/h with two people on board (35km/h one-up), you don’t give away much to the F15 in terms of outright speed but pick up greater economy and ease of transportation thanks to a smaller engine capacity and lighter weight (40kg plays 51kg). The 9.9 is the engine I’d choose to maximise the versatility of this setup, even though I’m usually a sucker for picking the maximum horsepower. 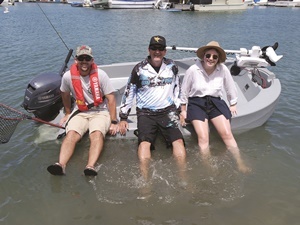 You’re always going to cop a bit of spray over the gunwales when piloting a 3m boat in chop and the Tuffy is no exception, but the hull’s uniquely flared design certainly does its best to minimise this and in any case, in a large open waterway you should probably be fishing from the big boat! 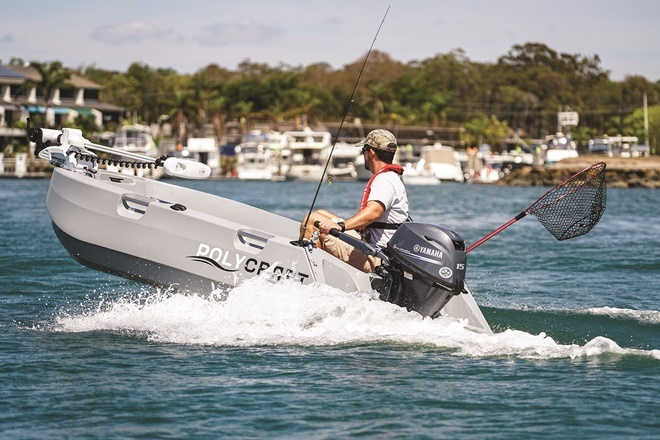 The Polycraft 300 Tuff Tender absolutely nails the brief of being a rugged and reliable tender, car-topper and all-round versatile small fishing boat perfect for protected waters. It will never rust or deteriorate if left out in the elements and will probably outlast mankind itself, so as a low-cost tender proposition, the Tuffy makes absolute sense. 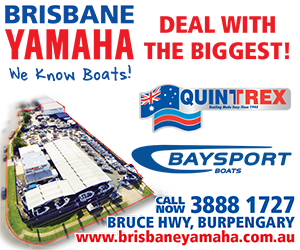 Right now you can get a 300 Tuffy on a trailer and powered by one of Yamaha’s venerable four-stroke outboard range starting from just a few thousand dollars, so call Brisbane Yamaha today on 07 3888 1727 to work out a ripper deal. Check out the video below to see the little rig in action! Looks dangerous in the extreme!! Very badly trimmed or not trimmed at all. A better shot would be where the boat/motor is trimmed correctly and the combination of boat/motor is safe. Hey John, thanks for your comment mate. We tested the Tuffy in a bit of chop and found it to be perfectly safe and stable with 2 people on board. In the lead photo the boat is jumping onto the plane with a bit of kick to the outboard’s angle.